Buying a home is not as simple as offering a price and buy that home out. Home buying negotiations can take a lot of your precious time before the seller and you (buyer), both become satisfied with the deal. 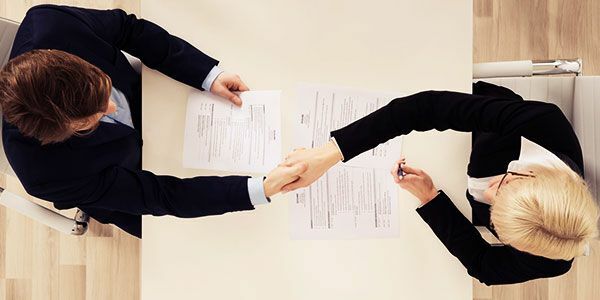 Initial offer and counteroffer, both of them are the basic part of a good negotiation, especially the counteroffer. In most cases, the counteroffer is considered the ultimate selling price of the home. So, if you want to get the best deal while buying a home, you need to know how to make a good counteroffer. Typically, when a proposal is given with few modifications or a better offer, it is called a counteroffer. It is often made by revising the original terms to make the new offer more lucrative. This new offer allows the seller to change his/her mind on his original offer and lures him to negotiate with the buyer. Making a real estate counteroffer may have some limits and criterias. So, both the parties must agree on a contract and accept it. A real estate counteroffer might be lesser or greater than the original deal. Why should you make a counteroffer? As a homebuyer, it is your right to quote a price that is lower than the listed price. The seller may accept or reject your quote depending on many circumstances. If there are multiple offers, it’ll open the options for the seller. The seller may choose his desired offers from there. Seller may also counter the buyer’s proposed closing date. If the seller wants to move out soon, he may push the deal. The seller may also ask to rent the property for the time being, until the settlement. Home appraisals are another reason for the counteroffer. If the appraised value is lower than the sale price, banks or lenders may also consider that low value while approving the mortgage amount. AS a result, the buyer will be approved for a lesser amount as mortgage loan. When you make a counteroffer to buy a home, the seller may reciprocate to your offer by the following manner. The seller agrees to your offer and has no conditions. The seller gives you another counteroffer with few conditions. The seller ignores your offer totally as your it might be too low compared to the asking price. Real estate transactions must be based on a clear give-and-take. Sellers always set a specific price in the listings. As a buyer, you must also ask for equivalent value for your money. For an example – while inspecting the house, if you notice that the appliances aren’t included, you may ask the seller to make the home furnished, and in return, you can give a better counteroffer. Although you should look for your own benefits in the deal, it’s also important to consider the point of view of the seller. Know more about the home. How long has it been on the listing? What year was the home built? Are there any repairs needed? Consider these factors and then make your best counteroffer. It’ll work perfectly. During the counteroffer, you must remember that you may need to pay something to get something bigger. So, lucrative incentives, in other forms, may help you to achieve the goal. Sellers know that most buyers will require extra cash after making the big home buying. If you are a seller, you must work on that factor also. Offer buyers few incentives like homeowners’ association fees, gym membership, pool memberships, fee repainting work for their homes, free garden maintenance for a year, etc. You need to be creative and thoughtful. Study your buyers and offer incentive accordingly. Effective negotiation requires skilled calculations. It is very important for closing a real estate deal. Counteroffers may include from lowball prices to high-end prices. When you are negotiating for a small margin or a gap, you can tactfully split the gap with a sharp calculation. Look at this example - If you’ve offered $475,000 and your seller quoted $480,000, you can tactfully split the $5,000 gap and offer $477,500. Fix it on the halfway and both of you would agree; at least chances are greater. Too much negotiation may also spoil the deal. If you feel that the seller is too rigid to negotiate or he is being unreasonable, keep your patience. You can decline the offer politely. This may change the situation and pressurize the seller into returning to the deal with a better offer. You must be pre-approved for a home loan before submitting the counteroffer. The preapproval letter will showcase your affordability and authenticity before the seller when you initiate the deal. In many cases, sellers prefer buyers who are pre-approved for a conventional mortgage loan rather than an FHA loan. Home buying is more like dealing with with each other's psychology rather than a buying-selling deal. If you can read the opponent’s mindset properly, you will definitely make the best counteroffer and grab the deal in your pocket. Whatever you plan is, whatever you do, you must have patience and reasons to justify yourself. These are the simple ways to make a successful real estate counteroffer. If you have some more in your mind, feel free to share with us.